LIVONIA, Mich. — ROUSH CleanTech’s growth means even more focus on business development and customer success, leading to new hires and a promotion. Brian Carney has been promoted to vice president of customer success, overseeing both ROUSH CleanTech and ROUSH Performance’s Customer Success divisions. Carney, who joined ROUSH CleanTech in 2010, created the Customer Success department two years ago. He has helped to build a center of customer excellence that has positioned ROUSH CleanTech as a leader in the industry and fueled its rapid growth. Dylan Kyle joined ROUSH CleanTech as commercial sales manager, to expand the adoption of propane autogas vehicles in commercial fleets. Previously, Kyle managed sustainability projects for the health, safety, security and environmental department for the Oiltanking Company. Kyle earned his bachelor of science in chemical engineering at West Virginia University. Adam Wilkum comes to ROUSH CleanTech as business development manager, focusing on the alternative-fuel school bus market. With nearly 20 years in the public transportation industry, Wilkum has provided his expert level industry knowledge to some of the largest fleets in North America. He previously worked with Thomas Built Bus, Cummins, Inc., and Lion Electric, providing Tier 1 sales and support to both dealers and end users. His experience includes equipment specification guidance for competitive advantage, securing grant funding for clean energy projects, and providing technical education to both small and large groups. 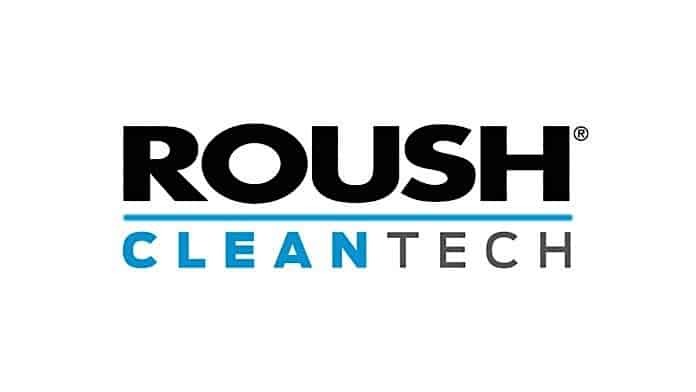 ROUSH CleanTech, an industry leader in alternative fuel vehicle technology, is a division of ROUSH Enterprises, based in Livonia, Michigan. ROUSH CleanTech designs, engineers, manufactures and installs propane autogas fuel system technology for medium-duty Ford commercial vehicles. Also for Type A and Type C Blue Bird school buses, and compressed natural gas fuel systems for Type C Blue Bird school buses. As a Ford QVM-certified alternative fuel vehicle manufacturer, ROUSH CleanTech delivers economical, clean and domestically produced fueling options for fleets across North America. Learn more at ROUSHcleantech.com or by calling 800-59-ROUSH.